This post was made possible by FLAC to MP3 Mac through compensation. The actual contents and opinions are the sole views of the author, who maintains editorial independence, even when a post is sponsored. For more details, please read our disclaimer. With dozens of audio formats The 10 Most Common Audio Formats: Which One Should You Use? The 10 Most Common Audio Formats: Which One Should You Use? You know about MP3, but what about AAC, FLAC, OGG, or WMA? Why do so many audio file formats exist? Here's a breakdown. Read More available, you probably have lots of different ones floating around on your hard drive. FLAC is gaining popularity thanks to its combination of small file size and audio quality How Audio Compression Works, and Can You Really Tell the Difference? How Audio Compression Works, and Can You Really Tell the Difference? In this article, we'll take a look at how music compression works, and whether it has any real effect on how your music actually sounds. Read More . 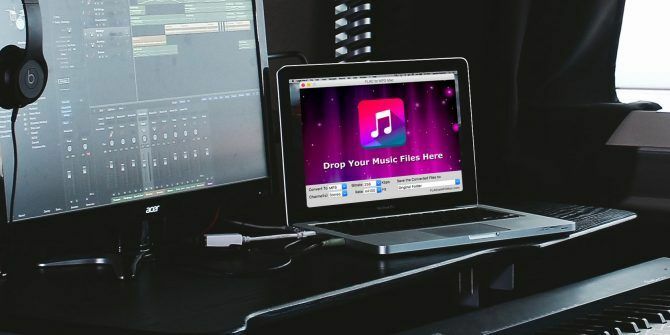 But it’s not as widespread as MP3, meaning that you’ll probably need to convert existing tracks if you plan to use them on an older MP3 player (or if you need even smaller files). If you’re searching for a free and simple FLAC converter for your Mac, FLAC to MP3 Mac should do the job for you. Let’s take a look at what it can do. 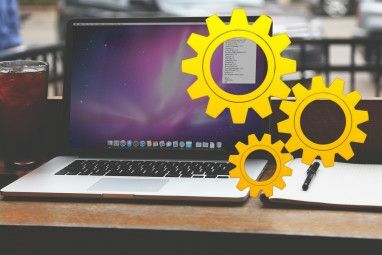 Installing FLAC to MP3 MAC works just like any other Mac app How to Install & Remove Mac Software: 5 Easy Methods How to Install & Remove Mac Software: 5 Easy Methods Switched to a Mac and getting to grips with the basics? 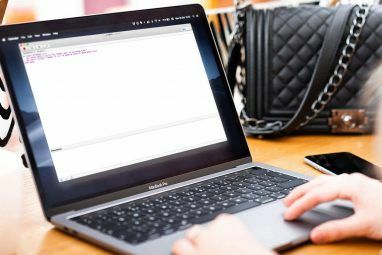 Wondering how to install software from the command line? Got old Windows apps that you simply must run on your Apple computer? Read More . Head to its download page, then click the Download Now button to grab the DMG installer and save it wherever you like. You can click the Downloads button in your browser to open right to the location where you saved it. In the resulting window, drag the FLACtoMP3Mac icon into your Applications folder, and you’ve installed it. Open it via Launchpad or by pressing Command + Space for Spotlight search. You may see a warning that you’re opening an application from the Web — go ahead and click Open. FLAC to MP3 Mac isn’t complicated and doesn’t bog you down with a bunch of options. It does what’s advertised, and that’s a good thing. When you open its window, you’ll see a place to drag files, along with a few conversion options. Convert To: Select a new file format. MP3 is the default. Due to its ubiquitous nature is likely what you’ll want to convert to. You can also select M4A, AAC, OGG, WMA, WAV, and FLAC if any of those work better for you. Channel(s): Choose between Stereo and Mono. Mono plays the same audio through both channels — so even if you remove one earbud you won’t miss any audio. Stereo can play different sounds through the left and right channels. You’ll probably want to leave this on Stereo to preserve any such effects. Bitrate: Choose a rate, in kilobits per second, for the track. As we mentioned when discussing audio file sizes 5 Tips for Optimizing Audio File Sizes 5 Tips for Optimizing Audio File Sizes If you've ever wanted to reduce the size of an audio file but weren't sure how to do that without impacting the quality of the recording, here's everything you need to know. Read More , a higher bitrate means there’s more information in each snapshot of music. Thus, the higher bitrate, the better the quality. 320 is the highest setting, as most users won’t need anything higher than this (you’d probably just keep FLAC files if you did). You can select as low as 64, which is AM radio quality. 128 is standard CD quality and is a good middle ground. Rate: This is the sample rate, which you shouldn’t confuse with the bitrate above. This sample rate represents how often a snapshot of sound is taken, while the bitrate is how much data you take on each snapshot. Again, a lower number will result in a drop of music quality and smaller file sizes. The default, CD-quality 44100 (44.1 KHz) is suitable for most conversions. 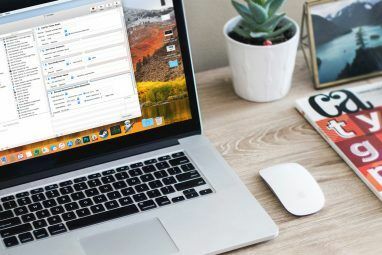 Finally, the Save the Converted Files to option lets you choose whether to save the new files to the Original Folder or specify a different location for saving them. Now that you know the technical details, let’s convert a file! You can add a file (or multiple) to FLAC to MP3 Mac by dragging and dropping it from Finder. Or, if you prefer, you can click the musical note icon and browse for a file. If you selected to output the converted file to a new folder, you’ll need to pick a location before the conversion starts. Once you add the songs, the app starts the conversion. You’ll see it display the number of songs left to convert. Once done, just visit the original folder, or the location you specified, to find your new tracks. Need something to convert flac to mp3 that won't give my Mac a disease. Any suggestions? To test the software, I grabbed an 85MB FLAC test file from this sample music page. Converting the track took under ten seconds and placed the converted file in an aptly-named folder called Converted. The two tracks sounded indistinguishable and the resulting MP3 file was only 7.2MB. That’s a lot smaller than the original file with an imperceptible loss in quality! As a bonus, FLAC to MP3 Mac can also extract audio from common video formats AVI, MKV, or MP4? Video Filetypes Explained and Compared AVI, MKV, or MP4? Video Filetypes Explained and Compared Why do so many video formats exist? It's confusing! But don't worry, we are here to help. Here's everything you need to know about video formats, containers, and codecs. Read More like MP4, MOV, and AVI. Just add a video file, select your options per the above, and the app will create an audio file in MP3 or another format you’ve specified. This could come in handy for downloading YouTube videos and creating songs with them. That’s really all there is to FLAC to MP3 Mac — it’s that simple. Set your parameters, drag all the FLAC files you want to convert into the tool, and it will pop them out. For anyone who regularly works with FLAC audio tracks on their Mac, this is a handy tool. Do you often work with FLAC audio? Does this tool help with your needs? Tell us what you think down in the comments! Explore more about: Audio Converter, Mac Tricks, MP3. no i dont work with flac audio, i dont have a mac and i dont make videos. if i did, this might be worth looking it to. This is so awesome! Happy to find out about it! I use fre:ac, and the latest beta allow for multithreading conversion which is lightning-fast when you have multiple CPU cores.